Analysis: Kizer took the field for the first time since Week 1, but his appearance was purely ceremonial, as Sunday's game had already been decided when he entered. 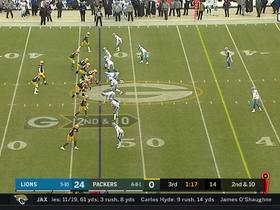 He continues to operate as the Packers' backup quarterback behind starter Aaron Rodgers. Analysis: While Kizer has not officially been named the No. 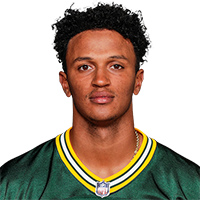 2 quarterback behind Aaron Rodgers, Hundley's departure leaves undrafted rookie Tim Boyle as the only other quarterback on the roster, so it all but guarantees Kizer the job unless the Packers add another player at the position prior to Week 1. Kizer started 15 games for the Browns as a rookie last season, but the Packers are no doubt hoping he only sees the field in inconsequential situations in 2018. Analysis: A good chunk of Kizer's passing yardage came on a catch-and-run from receiver Jake Kumerow, but he nonetheless put up quality numbers in his four series on the field. 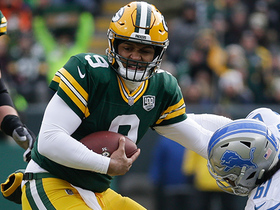 Kizer and Brett Hundley remain neck and neck in the battle for the Packers' backup quarterback spot. Kizer completed nine of 18 passes for 134 yards and had three carries for 18 yards in Thursday's preseason win over the Titans. The Browns traded Kizer to the Packers on Friday, Ian Rapoport of NFL Network reports. 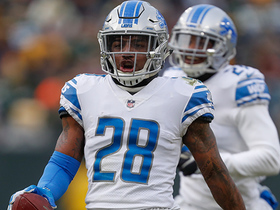 Analysis: The compensation for 2015 first-round pick Damarious Randall (hand) is a developmental quarterback, which is an apparent need after Brett Hundley was forced into action and more or less disappointed in 2017. Kizer himself retained the starting job in Cleveland for all but one game as a rookie last year, tossing a league-leading 22 interceptions and completing only 54 percent of his passes. Expect Kizer to compete with Hundley for the backup gig behind Aaron Rodgers this offseason. Kizer received praise from Browns general manager John Dorsey for improving over the final month of his rookie season, Dan Labbe of The Cleveland Plain Dealer reports. "What I thought was really nice was how much he improved week in and week out," Dorsey said. "And like I've always told you guys, I think a young quarterback from year one going through his rookie year, into year two, he makes exponential improvement moving forward and I would expect nothing less from him." Kizer completed 16 of 30 pass attempts for 314 yards, two touchdowns and one interception Sunday against the Steelers. He also carried six times for 61 yards in the 28-24 loss. Kizer completed 18 of 36 passes for 182 yards with no touchdowns and two interceptions in Sunday's 20-3 loss to the Bears. He also gained eight yards on three rushes. Kizer will start Sunday's game in Chicago, Nate Ulrich of the Akron Beacon Journal reports. Browns head coach Hue Jackson hinted that Kizer won't necessarily start Week 16 against the Bears, Nate Ulrich of the Akron Beacon Journal reports. "I'm going to watch the tape and make the best decision for our football team because we're still trying to win," Jackson said. "We're not here just trying to get through the season. We're trying to win. If the best decision is to move forward in a different direction, we will. At the same time, I want [Kizer] to finish this if he can." Kizer completed 20 of 37 passes for 146 yards with two interceptions and a fumble during Sunday's 27-10 loss to the Ravens. 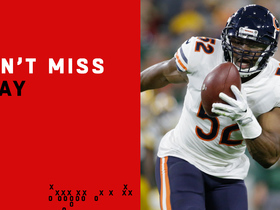 He also added seven rushes for 35 yards. 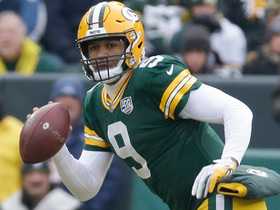 Kizer completed 20 of 28 passes for 214 yards with three touchdowns and two interceptions, adding two carries for seven yards, in Sunday's 27-21 overtime loss to the Packers. Browns head coach Hue Jackson acknowledged that the team may use its first-round pick in the 2018 draft on a quarterback, but he also said that Kizer still has a shot to be the franchise's future at the position, Mary Kay Cabot of Cleveland.com reports. Kizer completed 15 of 32 passes for 215 touchdowns with a touchdown, a lost fumble and an interception during Sunday's 19-10 loss to the Chargers. He also rushed for a team-high 46 yards on five carries. Kizer completed 18 of 31 passes for a career-high 268 yards during Sunday's 30-16 loss to the Bengals. He also rushed nine times for 39 yards and a score. Kizer is returning to Sunday's game after being evaluated for a concussion. Analysis: Kizer exited Sunday's game in the second quarter to be evaluated for a concussion, but he's now returned after missing just over five minutes of game time. He'll be expected to finish out the game under center, barring further injury. Kizer exited Sunday's game against the Bengals to be evaluated for a concussion. Analysis: Kizer entered the locker room early in the second quarter after taking several hits to start the game. Cody Kessler will fill in for the rest of the game if Kizer is unable to return. Browns head coach Hue Jackson said following Sunday's 19-7 loss to the Jaguars that Kizer would likely start for the rest of the season, Mary Kay Cabot of Cleveland.com reports. "Where we are right now, I need to continue to see him,'' Jackson said of the rookie quarterback. "Let's let him play. Let's let him play this thing out. As long as he's healthy, let's keep putting him out there. I want to walk away from this season knowing exactly what DeShone Kizer is top to bottom. He deserves that." Kizer completed 16 of 32 passes for 179 yards, one touchdown and two interceptions during Sunday's 19-7 loss to the Jaguars. Additionally, he tacked on five carries for 22 yards. Kizer (ribs) practiced fully Thursday, Nate Ulrich of the Akron Beacon Journal reports. Kizer (ribs) was limited at Wednesday's practice, Nate Ulrich of the Akron Beacon Journal reports. Analysis: Kizer briefly left Sunday's 38-24 loss to the Lions, but he returned for the end of the contest and said afterward that he'll continue to play through the rib injury. It only would have been a major concern if he'd missed Wednesday's practice entirely. Of course, a Week 11 matchup with the Jaguars doesn't bode well for his chances to avoid an aggravation, not to mention actually putting up some points. The expected return of Corey Coleman (hand) should at least help a little bit. Kizer said Monday that his bruised ribs are sore, but he expects to get treatment this week and continue playing through the injury Sunday against the Jaguars, Nate Ulrich of the Akron Beacon Journal reports. Kizer completed 21 of 37 passes for 232 yards with a touchdown and an interception during Sunday's 38-24 loss to the Lions. He also rushed seven times for 57 yards and a score. Kizer returned to Sunday's game against the Lions after having left the contest with rib injury. 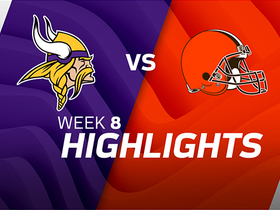 Analysis: Cody Kessler completed one of three pass attempts for five yards in Kizer's absence, but the rookie signal-caller was able to return to the game, with the 0-8 Browns attempting to mount a late comeback in Week 10. Kizer was forced out of Sunday's game against the Lions after taking a hard shot to the ribs, Ian Rapoport of NFL Network reports. Analysis: With Kizer dealing with a rib injury, Cody Kessler has taken over at QB for the Browns. Prior to his exit, Kizer had completed 15 of 24 passes for 178 yards and a TD, while adding seven carries for 57 yards and a TD. 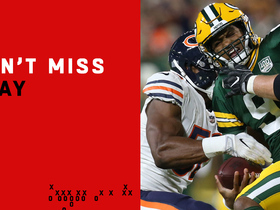 Chicago Bears linebacker Khalil Mack takes football away from Green Bay Packers quarterback Deshone Kizer for a turnover. 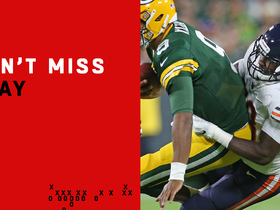 Chicago Bears linebacker Roquan Smith sacks Green Bay Packers Deshone Kizer on first NFL play. Chicago Bears linebacker Khalil Mack picks off Green Bay Packers quarterback Deshone Kizer and returns it for a touchdown. 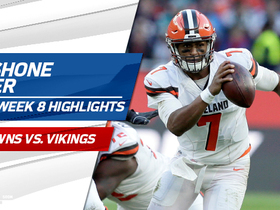 Check out Cleveland Browns quarterback DeShone Kizer's highlights from his Week 8 matchup against the Minnesota Vikings in London. 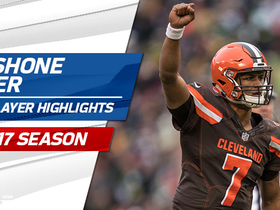 Watch the 2017 highlight from Cleveland Browns quarterback DeShone Kizer.